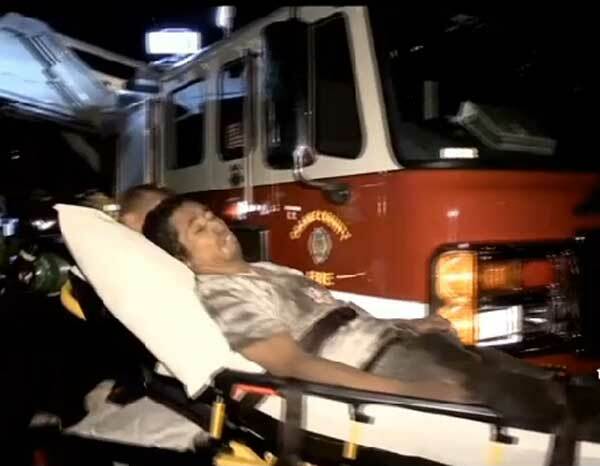 It took a team of firefighters more than two hours to free a 32-year-old man trapped in a chimney in Lake Forest, California, just after 3am on Monday morning. 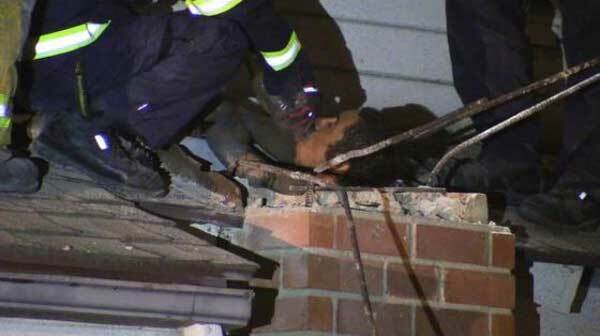 Orange County Fire Authority Captain Steve Concialdi said the man got stuck up to his shoulders about 10 feet down the chimney – and every time the man exhaled, he slid further down. “He started screaming and yelling, and inside there was a mom, her daughter, and the daughter’s two kids inside, so they called 911,” Concialdi said. About 25 firefighters, including two urban search and rescue teams, were called to the scene. The man was finally lifted out in a harness just before 5am and taken to a hospital suffering from mild, non-life-threatening injuries. Sheriff’s officials say he was trying to get into his uncle’s home and didn’t break any laws. With short additional news video.